Making a purchase is simple. Browse our products, click on any items that you wish to buy and add them to your shopping cart by clicking "Add to cart". At any stage of your purchase you may see and/or edit what is in your cart by pressing "View cart". Please note that all prices are in UK pounds sterling (£). To find out how much it translates into your currency we have placed a link to a currency converter service onto each page of the webstore. Enter the amount in pounds sterling and the currency you wish to convert into and the service will calculate the equivalence in your own currency. If you are shopping from outside the UK your credit card company will automatically convert the sterling transaction to your own currency at their rate. After you have finished your selection, click on "Checkout" and you will be asked for details needed to satisfy your order. Your card payment will be processed by PayPal, a secure online payment gateway that will process your payment. If you already hold a PayPal account enter your login details to proceed, otherwise choose the option for non PayPal account holders and make your purchase by filling in your card details. N.B. WE ONLY ACCEPT PAYPAL PAYMENTS FROM PAYPAL VERIFIED ACCOUNTS. This is a simple process offered by Paypal to ensure higher security transcations between buyers and sellers. Credit cards accepted include Mastercard/Eurocard, Visa/Delta/Electron, Switch/Maestro, Solo and American Express.Your card will be authorised in real time and you will be given confirmation of a successful payment to the email you provide. Eko Noiz Ltd. Please send this with your order invoice that will be sent to your email address by Pay Pal. PayPal are one of the leading online payment gateways for safety and reliability. PayPal processes your payment and uses the Instant Payment Notification (IPN) protocol to inform you and us of your order. We never handle your credit card details ourselves. PLEASE NOTE that for security reasons we only ship to your credit card billing address, so the address for delivery should match that of your credit card billing. The order will be processed as soon as your payment is received. We do not work with stock and will hand- print each individual tee shirt order as soon as possible, usually within the next day or two, but please allow up to 28 days from your payment date. You can contact us anytime to track your order. Should there be any substantial delay in delivery, we will notify you by email immediately and will arrange an alternative delivery schedule or offer a refund. If you have a particular date in mind by which you absolutely need to have received the order - if it is for a birthday present for example, or if you will be traveling - do let us know on info@ekonoiz.com so we can do our best for the order to reach you in time. If there's anything else you would like to know before you place your order then please don't hesitate to contact us on info@ekonoiz.com or by phone on 0845 0946412. Worldwide shipping costs £5.45 in Europe and £5.75 for the rest of the world (up to 3 t-shirts - for additional t-shirts postage is calculated by weight) and on orders of 3 or more t-shirts we will send you a FREE selection of our Eko Noiz sticker collection. For "stickers only" orders, shipping is FREE on orders above £9.00 or if bought together with t-shirts where no additional cost for stickers will be added onto the tee shirt shipping price. Tee shirts are shipped out as soon as they are printed and "stickers only" orders are shipped immediately. Please note most orders require a signature upon receipt. If the package will not fit through your letterbox and there is no one present to receive it, it may be taken back to the postal depot for collection or re-delivery, in which case a card will be left notifying you of this. Any customs or import duties are levied once the package reaches its destination country. Additional charges for customs clearance must be borne by the recipient. We have no control over these charges and cannot predict what they may be. Customs policies vary widely from country to country and you may want to contact your local customs office for further information. As we custom print each t-shirt individually to order, we are unable to offer an exchange if you have chosen the wrong size. So please make sure you have consulted our tee specifications page carefully where all measurements are available before choosing your size. Each eco-fibre comes in slightly different cuts and fits. We would recommend measuring across the chest of one of your favourite t-shirts and finding a similar fit so that you are sure to choose something you will be happy with. If the item is faulty in some way please return it in its original packaging, unworn, with the order number, and instructions as to what you would like us to do, within 14 days of receipt. We will then send out an alternative t-shirt at no extra cost to you or give you a refund. The goods are your responsibility until they reach us. 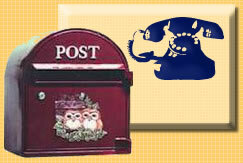 Please use Recorded Delivery as Eko Noiz cannot take responsibility for items lost in the post. We will then issue a refund (which will not include the costs of delivery) upon receipt of unused goods. Refunds will only be made to the credit or debit card on which the purchase was made. Send your unused goods to the address below. Should you ever have cause to make a complaint, we will use all reasonable endeavours to respond as soon as possible. Eko Noiz is unable to provide any warranties in relation to goods provided over and above its statutory obligation to provide goods of satisfactory quality in accordance with the Sale of Goods Act 1979 as amended by the Supply of Good and Services Act 1994. Except in relation to liability for death or personal injury Eko Noiz's liability for negligence shall be limited to the total value of the transaction. Eko Noiz shall not be liable for any indirect, consequential or special losses even if Eko Noiz has previously been advised of the likelihood of such losses. The rights in the designs and the content of this Website are owned by Eko Noiz Ltd. They are protected by copyright and other intellectual property rights. You may not copy, reproduce, modify, distribute or display any part of this site without permission. All trademarks, product names and company names or logos featured on the Website are the property of their owners. We reserve the right to alter these terms and conditions without notice at any time. These terms and conditions will be governed by the laws of England and Wales and by using the Website you agree to submit to the exclusive laws of the courts of England and Wales.